Find Japanese souffle pancakes and sweet and savoury egg waffles at this Yuen Long street food store. 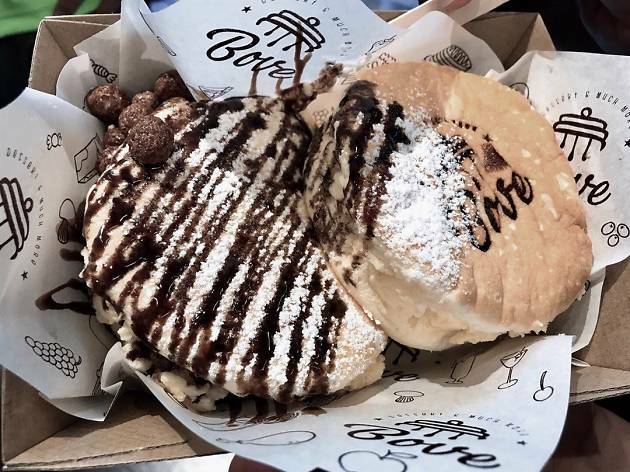 Enjoy the best of both worlds at this street food store where you can get Bove’s fluffy Japanese souffle pancakes and Modos’ sweet and savoury egg waffles at the same time. 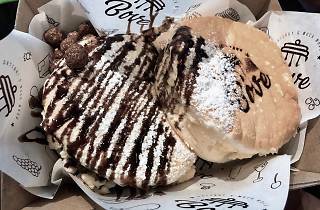 Super soft, bouncy and did we mention, seriously fluffy, Bove’s pancakes comes in a variety of flavours including black sesame, Twinings Earl Grey, peach and three cheeses, while Modos offers quicker yet no less tasty choices of egg waffles like Russian Borscht, Taiwanese pineapple and spicy meat floss. And it all costs within the $25-$35 range.